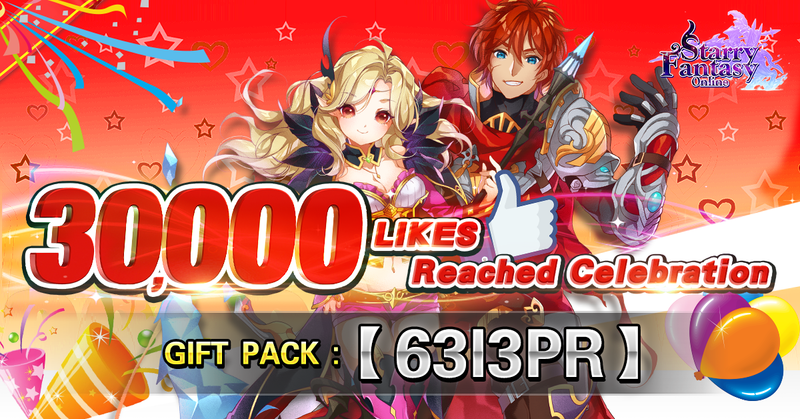 Starry Fantasy Online had reached 30,000 likes on fb fan page! Tell and us how did you know our game and you have chance to win a special gift pack!! Logon Starry Fantasy Online FB to get more details. Dear All Adventurer, Let's celebrate this fantastic moment!! The gift code is valid until 28th Feb 2017.